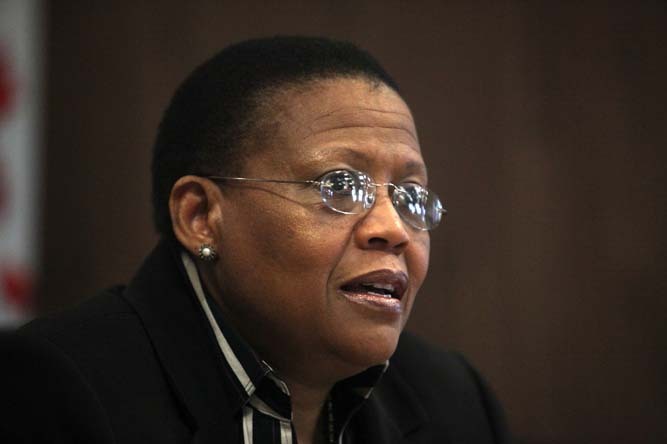 FILE PICTURE: Pansy Tlakula. Picture: Johann Hattingh. The Electoral Court sitting in the High Court in Johannesburg ruled on Friday that it would hear submissions in an investigation into the matter of IEC chairwoman Pansy Tlakula. “We will accede to the request to listen to the applicant,” Judge Lotter Wepener said. Wepener made the ruling after he said earlier the court would be not be able to make a recommendation on Tlakula before the May 7 elections. Several opposition parties want Tlakula to resign before the national elections, arguing that her integrity has been compromised. The parties are the United Democratic Movement, the African Christian Democratic Party, the Congress of the People, Agang SA, and the Economic Freedom Fighters. “Having regard to what is before us… we conclude that we will not be able to make a reasonable recommendation prior to 7 May,” Wepener said earlier. He said it was a court of law, and as such was not interested in the “politics out there”. There was a difference in acting expeditiously and acting hastily. “If we cannot obtain your prime objective then we must stop pushing the matter, which is not right,” he said. He said this was based on the volume of the work before the court. However, David Unterhalter SC, for the political parties, proposed that both sides make submissions before the court decided that it would not be able to make a recommendation. “First hear the matter. That conclusion should not be made now,” he said. Daniel Berger SC, for Tlakula, said there would be no point in continuing, and argued more time was needed for them to “get their heads straight”. However, after the ruling, Unterhalter was called to make submissions. In court for the parties were UDM leader Bantu Holomisa, and Dali Mpofu of the EFF. The men greeted each other and stood outside the court chatting during a brief adjournment. The application follows a forensic investigation by the National Treasury into the procurement of the IEC’s Riverside Office Park building in Centurion. The probe found the process was neither fair, transparent, nor cost-effective. It also found Tlakula neither gave guidance nor formally informed various people what was expected of them in the process. Tlakula has maintained she was not accused of corruption in the report. The Treasury’s report followed a recommendation by Public Protector Thuli Madonsela in her own report into the matter, released in August last year.